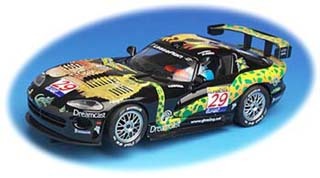 The following Slot Cars are for sale. All are brand new in the original package. 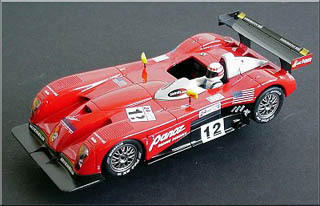 1:32 Fly Panoz Roadster LMP is Red & Black, it is car #12. 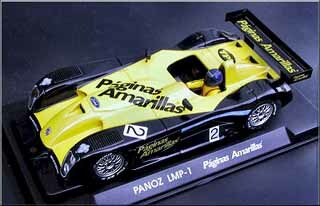 24H Le Mans 2000. Jhonny O'Connell - Hiroki Katoh - Pierre-Henri Raphanel. $55 plus shipping. 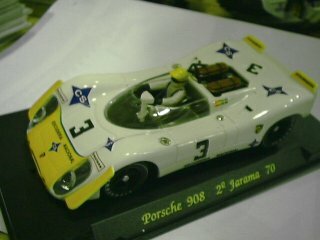 This is a FLY Porsche 917K from the Classic Series. 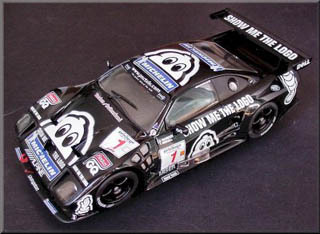 It is Orange w/Black Graphics, car is #1. 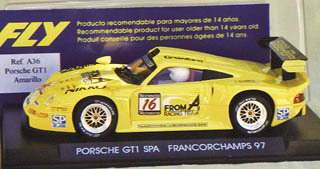 1:32 Fly Porsche 908 is White w/Yellow Nose, the car is #3. Revistas Profesionales Spain. This car was a Limited Edition. $90 plus shipping. 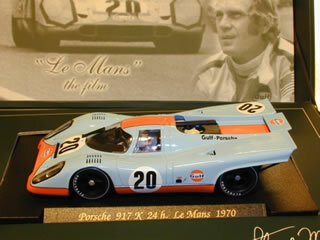 1:32 Fly Steve McQueen Porsche 917K is Powder Blue w/Orange Stripe, the car is #20. 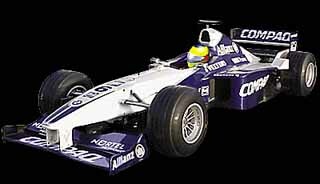 This was the Gulf car. 24 hour Le Mans 1970. 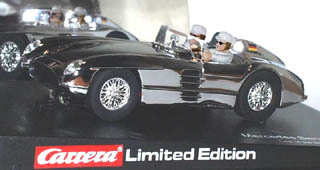 This car was a Limited Edition in a large gift box. SOLD. 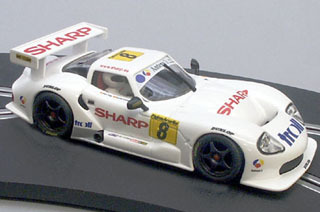 1:32 Scalextric McLaren Mercedes MP4-16 Hakkinen, Car #3. 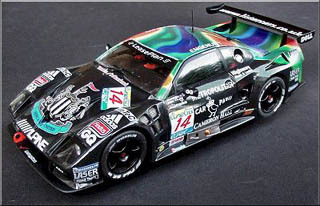 This is the numbered, limited edition car. 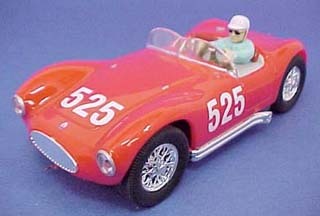 5000 were released world wide. This is in a gift box. $90 plus shipping. 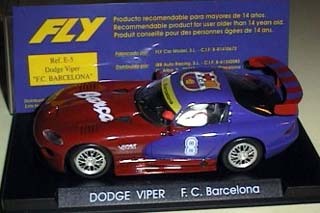 Ford Mustang GT Liberty Eagle Carrera`Evolution 1/32. $70 plus shipping. 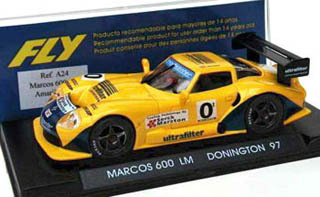 Scalelectrix Ford Gran Torino in brand new condition as used in the 1970s hit TV series "Starsky & Hutch" as well as in the 2004 Movie. 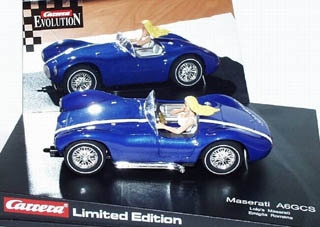 The car has magnatraction, working front & rear lights as well as a flashing red light on the roof. 1/32. $70 plus shipping. 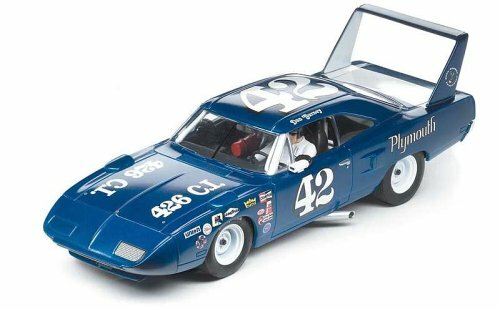 Carrera Plymouth Roadrunner Superbird No.42 Riverside 1970 1:32nd Scale. $70 plus shipping. 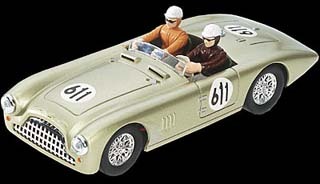 Aston Martin DB3 "Mayhem" Limited Edition. 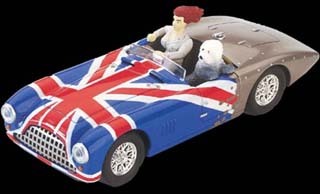 To give everything an ultra-British finish thereÃƒÂ¢Ã¢â€šÂ¬Ã¢â€žÂ¢s the Union Jack paint job, the bobtail on the passenger seat, a redhead driving and "Britannia rules the track!" Many of the items on this page are single units in the inventory. There are multiples of some items. Not all items on this page may be available when your request is made. This page is periodically updated to provide as accurate a representation as possible.